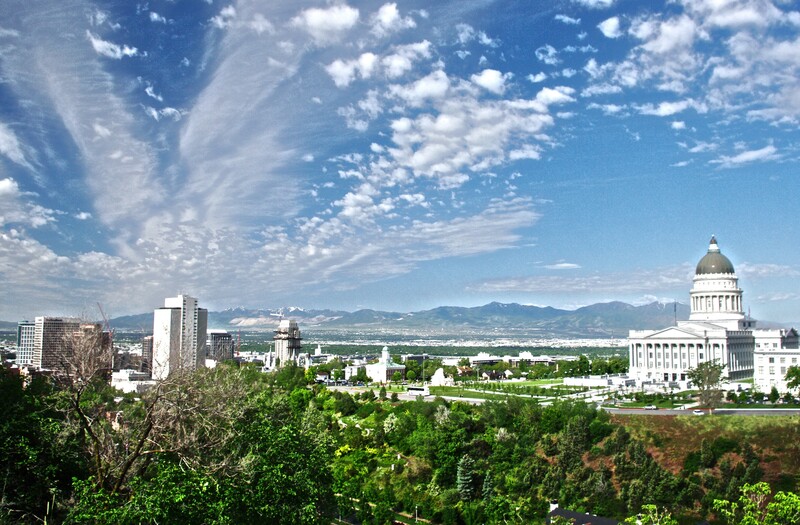 Close to three million people call Utah home. From pre-historic dinosaurs and ancient cultures, to the Old West and modern pioneers, the rich heritage and early cultures of the land form the warp and woof of the tapestry that is Utah. Known today for its growing, tech-savvy, education-minded and recreation-oriented workforce, Utah is one of the most affordable, clean, safe, and livable states in the country. This western state is defined by its vast expanses of desert and the Wasatch Range Mountains. Utah’s location makes it a favorite for outdoor enthusiasts who want to ski the slopes in the morning, and enjoy the warm sun on a hike through the valley in the afternoon. 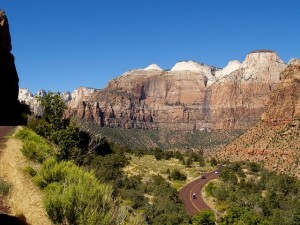 Utah’s five spectacular national parks stretch across the southern half of the state. Each park offers visitors unique, world-class scenic vistas, geological phenomena and wildlife. In fact, Utah’s national parks feature some of the most astonishing landscapes in the world. Outside of the national parks, Flaming Gorge National Recreation Area and Glen Canyon/Lake Powell National Recreation Area combine stunning scenery with incredible boating and trophy fishing. 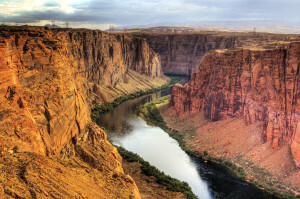 The Four Corners area spreads across the boundaries of Utah, Colorado, Arizona and New Mexico with ruminates of settlements from a vast Ancestral Pueblo empire and abundant outdoor recreation opportunities for today’s explorers. Monument Valley Navajo Tribal Park paints the beautiful and iconic images of the West. Locals call Bear Lake the Carribean of the Rockies for the intense blue hues of the water and love the area for the sunny beaches, boating, waterskiing and late-summer raspberry shakes. Travelers love it for the same reasons and appreciate that it is a convenient detour on trips to/from Yellowstone National Park or Grand Teton National Park. Commemorating the placement of the railroad spike that served as the final link in the Transcontinental Railroad, Golden Spike is a favorite destinations for kids who love the superb replica steam trains, history buffs and railroad enthusiasts. Recreations of the Golden Spike ceremony of 1869 are held seasonally. Antelope Island State Park is a spectacular birding, free-range bison and convenient wildlife viewing location on a craggy island in the Great Salt Lake. Several trails popular with hikers and mountain bikers traverse the mountainous island and Antelope Island serves as a great launch point to explore the Great Salt Lake by boat or kayak. Historic Garr-Fielding ranch house is a well-preserved and entertaining pioneer ranch house. Dinosaur National Monument includes the largest quarry of Jurassic Period dinosaur bones ever discovered. The Carnegie Quarry’s great wall of dinosaur bones features nearly 1,500 Jurassic-era fossils and multiple interactive exhibits are featured in these modern facilities. Surrounding Dinosaur National Monument are hundreds of miles of hikes, whitewater rafting on the Green and Yampa rivers and a spectacular Dark Sky interpretive program. Fishlake National Forest is home to the world’s oldest and largest living organism, the Pando clone of aspen trees weighing 13 million pounds. During the fall the hills surrounding Fish Lake burst with gold, red and orange as the dense aspen stands change color to ready for winter. The Fishlake National Forest is also home to portions of the massive, 2,700 mile Piute ATV trail system and very popular with ATV, side-by-side and OHV riders. While not as tall as the sandstone cliffs in nearby Zion National Park, Snow Canyon’s steep walls are home to a charming park with abundant recreation activities. The park’s road is popular with road cyclists, the cliffs sport dozens of high quality bolted climbing routes, and the sand dunes in the park are a favorite for children. Hovenweep is both a mystical pilgrimage and a fascinating study in ancient culture. Like much of the Four Corners area, Hovenweep, was an Ancient Pueblo (Anasazi) settlement. Abandoned around the late 1200’s the buildings stand like sentinels in a landscape of sage and juniper. Portals in the Hovenweep castle appear to align sunlight each seasonal solstice and equinox emphasizing the people’s connection to the rhythms and passages of the land and seasons they relied upon for survival. Home to three of expansive rock arches and the first International Dark Sky park in the world, Natural Bridges is less accessible than Utah’s national parks, but just as spectacular. At 6,500-feet in elevation, atop the massive Cedar Mesa, the park is a little cooler in the heat of summer than other parks. Utah is home to a wide range of museums that inform, educate and fascinate. From the acclaimed Natural History Museum of Utah to the Utah Museum of Fine Arts, Utah is home to a range of world-class museums intended to engage and educate people about our state and our world. Museums and art galleries, in cities large and small, showcase visual art collections from the representational to the abstract. The Utah Museum of Fine Arts at the University of Utah in Salt Lake City is the largest art museum in the Intermountain West. Its collection includes more than 21,000 works of art: paintings, sculpture, photography, mixed media, and works on paper, from across the globe. Utah’s first museum for the visual arts, the Springville Museum of Art, houses more than 2,000 works, 1,500 of which are created by artists who call Utah home. Its works are representative of over 150 years of Utah fine art. The museum includes 29 galleries and a sculpture garden. For those interested in Utah’s current art scene, the monthly Salt Lake City Gallery Stroll features an average of 15 participating galleries. The Gallery Stroll commonly features works from many of Utah’s greatest currently working artists and a broad spectrum of artistic media and expression. Utah has a vibrant art culture of many talented artists, galleries, and museums. Utah is a semiarid state with dry, high country air and plenty of sunshine. The spring in Utah can be dramatic with clouds and a quick rainstorm or snow flurry one moment, and warm sunshine in the next. Spring is one of the most popular Utah seasons because you can ski and golf on the same day and the weather in Utah’s national parks is perfect. During the summer, expect warm days and nights. July is the hottest month in Utah. Autumn is colorful with the occasional rainstorm. In the winter, although the lower elevations do experience some snow, most of Utah’s snow is reserved for the mountains. If you want a real insider’s perspective on the cost of living in Utah, the reality is that now is one of the best times to buy real estate there. Home prices are extremely reasonable for the amount of growth the state has experienced. 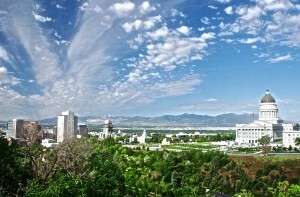 Overall, cost of living in Utah is below the national average, with Salt Lake City ranking highest and southwestern Utah’s Cedar City ranking lowest in the state. Utah collects personal income tax of 5%. The state sales tax has a base rate of 6.45%, with cities and counties levying additional local sales taxes that vary among the municipalities. Property taxes are assessed and collected locally. Utah does not charge intangible property taxes and does not impose an inheritance tax.